Unlike traditional methods of higher education that are slow, broken, and expensive (a barely positive return-on-investment can take 10+ years) or other courses that only teach specific skills such as running Facebook ads or selling six-week challenges, we teach everything needed for long-term business success (and profitability) and we do it faster, better, and cheaper (often with a 10X+ ROI in under 12 months). We empower fitness professionals and business owners to grow their business and create the life they want. Since 2006, we’ve helped over 45,000+ fitness professionals and business owners in 96+ countries grow to the next level. We’ve been listed 8x on the Inc 500/5000 list of fastest growing companies, and we’re a global team with offices in Los Angeles, London, and Sydney. When you’re 26 and you hear a doctor on the other end of the line say “I don’t mean to scare you, but it’s Stage IV Melanoma Cancer and you must get to surgery immediately” (knowing Stage V cancer is terminal) – your life changes in a profound way. 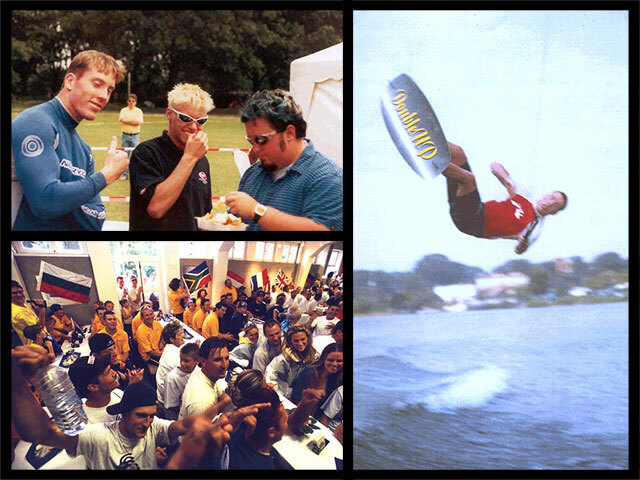 People often wonder how I went from being a professional wakeboarder to founding and becoming CEO of NPE. How a high school kid from New England turned down scholarships for both Track & Field AND Music (I played cello for 12 years) to move to Florida in 1996 to follow his dream of competing professionally in wakeboarding. Or how that same guy later walked out of his first class at business school saying “screw that!” – leaving $10,000 of the 1st semester’s tuition on the table – would go on to found and grow a company that has been listed 3 times on the Inc. 500 List of Fastest-Growing Privately Owned US Corporations (2010, 2011, 2012). Well, I’m not your average CEO and NPE isn’t your average company. Today we now have 3 offices around the world (USA, UK, Australia), and have served thousands of entrepreneurs in building sustainable businesses to support their families and live their dreams. It’s been incredible to watch how this company has grown over these past 9 years. And I’m proud of my team and thankful to all those who have made it possible. NPE’s evolution has been my life’s evolution. The heart and history of the company is intertwined with my own. It’s really the culmination of the 3 core aspects of who I am: athlete, coach, and entrepreneur. And getting that phone call was the turning point. At a point in my life where I was struggling to figure out “what’s next?” it finally brought those three aspects of my life together and made my path clear. Trust me…it doesn’t get much clearer than that! Facing death forced me to figure out what I really wanted in life. First and foremost, I am an athlete. Sports and fitness have been a lifelong passion and pursuit of mine. It’s one of the reasons NPE chose to focus on helping coaches and fitness businesses to achieve their dreams. I played a lot of sports growing up. I raced downhill skiing (my Mum was a ski instructor), ran the 400m in high school – making it to the New England Championships – but by far my favorite times were summers at the lake, enjoying waterskiing (my dad taught me how to waterski when I was 5) and then eventually wakeboarding. 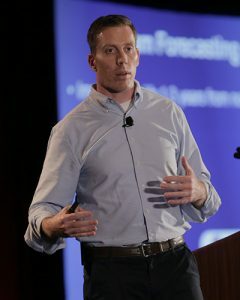 After graduating in 2001, with my Undergraduate degree in Psychology and Business Management from Rollins College, I worked my way up the ranks to compete on the US Team in the 2001 Wakeboarding World Championships in Duisburg, Germany and again at the 2002 European Championships in Budapest, Hungary. While wakeboarding I began coaching. Initially, I just coached wakeboarding and gymnastics part-time, but that eventually transitioned into coaching fitness and conditioning for both athletes and adults. My first client was an elderly gentleman named Bob. He was my “workout partner” at Bally’s gym because you couldn’t technically be a trainer there if you weren’t working for them. Bob struggled with some injuries and in working together we restored him with enough strength and flexibility to enjoy his passions of golf, activities with his family, and more. In that single moment working with Bob, I discovered that helping someone overcome a problem they were facing, achieve a personal goal, and improve their life was the most rewarding and personally fulfilling work I could possibly do with my life. (Left) Social Proof! Getting solid results for my clients and sharing their stories of success (top right) with some of my early clients. With both my grandfathers and several family members serving in the military, I’ve always had a special place in my heart for working with veterans, (bottom right) Giving one of my early public speaking talks on fitness and sharing the message with anyone who would listen. As I finished up my wakeboarding career, my parents suggested I go back to graduate school and get an MBA… because “coaching” wasn’t considered a professional career. So I enrolled in an MBA program at the University of Central Florida. Went to my first day of class, listened to the professor (who was making $50,000/year and had never run a business), and looked around at the kids in the room who didn’t want to work and were in the program to “extend their college party experience” and then go climb a corporate ladder someplace. I knew it wasn’t for me. So, I got up and walked out. Wasn’t sure how I would make it all work, but I knew I’d find a way by following my passion in coaching, sports, and fitness. While coaching, I became very good at one thing quickly: ensuring the clients I worked with got AMAZING results and reached their goals. Within 3 years I evolved from just myself working part-time, to having 2 locations in Central Florida and a staff of 8 coaches working for me. 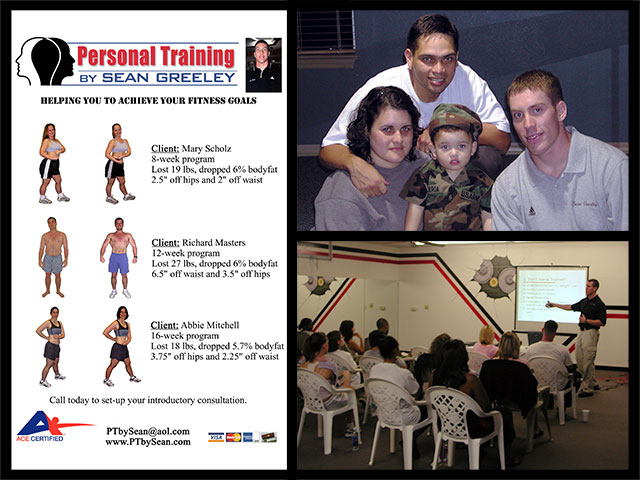 We served over 653 clients during that time period and became known for both outstanding service and delivering results-based fitness programs to our clients. I learned A LOT about business during those 3 years. From sales, to marketing, to management, to finance… I devoured every book, CD, course, newsletter, workshop, and more I could get my hands on. I also found some great mentors that helped me along the way. I kept learning, and learning, and learning. I wasn’t feeling challenged anymore. I knew how to build a fitness business, and doing it a 3rd or 4th time just wasn’t very exciting to me. I needed a new challenge. During a visit home to see my family for the holidays, my Mum noticed I had a freckle turning dark on my forehead (I’m Irish… we get freckles). I agreed to see a dermatologist and get it looked at upon returning to FL, but thought nothing of it. Saw the doctor and got the call a week later saying that I had Stage IV Melanoma Cancer. I was rushed into a nuclear imaging center and found myself surrounded by patients that were clearly dying. They took out a chunk of my scalp (have a good scar right on my hairline) along with 8 lymph nodes to see how things were spreading. Suffice to say, it was a nerve-wracking, scary and uncertain time in my life. But working with my oncology team, I was able to avoid chemotherapy by a very slim margin. I made it out a very lucky man and have fortunately been cancer-free since. Needless to say, the near death experience changed my life in a profound way. I was fortunate enough to sell my successful businesses and took some time to regroup, focus on my health, and figure out what I wanted to really do with my life. That’s when I started doing a little consulting for some friends of mine who owned gyms and were actively coaching clients. That led to the birth of NPE in 2006. We were just a small consulting firm, not sure of how to grow. That all changed when we attended a Dan Kennedy/GKIC INFO-SUMMIT™ event in November of 2006. Sitting in the audience, I remember listening to the inspiring and transformational stories of business (and life) success from the top Information Marketers. I suddenly realized what was possible, what we could actually achieve. Right then I made the decision: to come back and win the coveted “Information Marketing Company of the Year Award”. The concepts and strategies we learned there changed the game for NPE. Just 2 years later we were back on that stage, winning that award, after growing NPE from $60,000 worth of revenue in 2006 (read no profits) to $2.4 Million in Revenue (finally some profits!) just 24 months later. 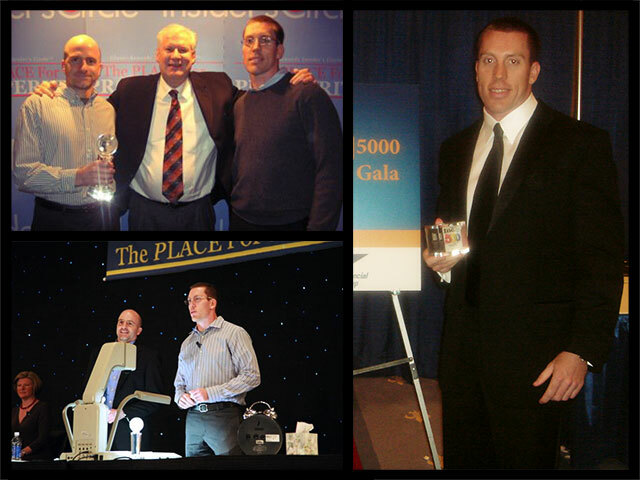 (Top left) Celebration after winning the 2008 “Info-Marketing Company of the Year award” from GKIC, (Bottom Left) Presenting on Stage at INFO-SUMMIT™ in 2008, (right) Accepting NPE’s first Inc 500 award in 2010 (#131 on the list of fastest growing, privately owned, US corporations). In early 2011 my original partner in the business, Eric, transitioned to focus on other projects. I’ve continued to focus on growing NPE, both in the USA and expanding it internationally. It’s allowed me to give back and help more people than I ever dreamed possible in such a short period of time. And over the last four years, it’s been incredible to add top talent to our leadership team in all areas of Sales & Marketing, Operations, Finance, and more. My personal growth and development as a leader has both challenged and humbled me. Entrepreneurship is the most exciting undertaking I could ever imagine. And to not only be sharing lessons with others, but also living them myself has been incredible. One thing has remained constant over the years: ensuring that the clients we work with get AMAZING results and reach their goals. 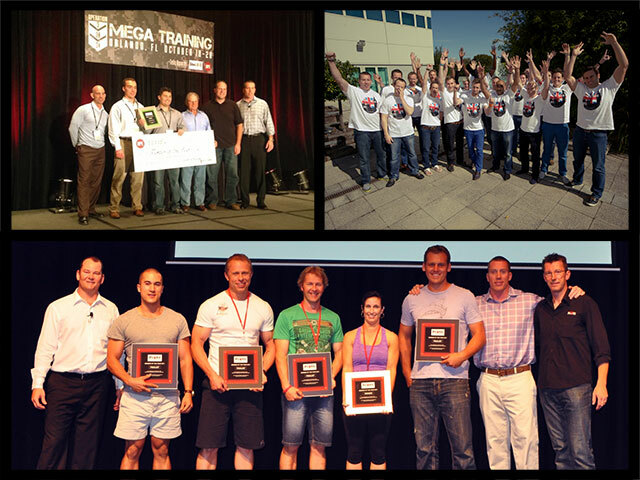 (Top left) On stage with the 2012 NPE “Member of the Year” Matt Probst at our annual MEGA TRAINING conference in Orlando FL, October 2012, (Top Right) Grand Opening of our UK office in Sussex, England September 2012, (Bottom) With our Australian award winners at Aussie MEGA TRAINING in Surfers Paradise, November 2011. It’s been an awesome ride and a whole lot of fun. How much time you put in for yourself – and enjoying life – is just as important as how hard you work. The lines between “work” and “play” have always been blurry for me. I play as hard as I work. I combine them both and enjoy learning and having fun wherever I go. So I travel a good bit, love fitness, snowboarding, and playing my Taylor acoustic guitar once-in-while when I make the time. May NPE be the game changer for your business and your life.